Conventional microbial control treatments generally contain harsh chemicals, toxins, poisons, heavy metals and other compounds, which are harmful to human health. However, Fresche is clean, green, safe for human skin contact and perfect for hospital and healthcare environments, making textiles look, feel and smell fresher, longer. 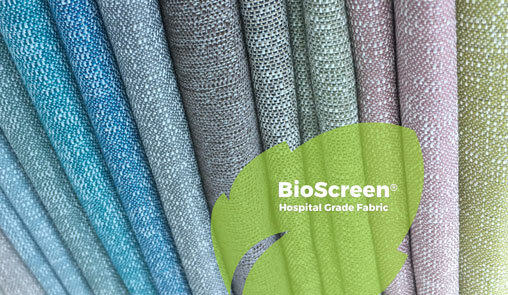 There are no harmful effects in the colouration of BioScreen®, and it’s inherent fire retardancy allows for greater flexibility in achieving environmental outcomes. Specially designed for cubicle curtain applications.